The Bartonsville Bridge opens at the edge of a railroad right-of-way. It can only be imagined what happened when an uninitiated horse came out of the bridge to meet its first steam locomotive. On August 28, 2011, Tropical Storm Irene blew through Vermont, sweeping down the Williams River. 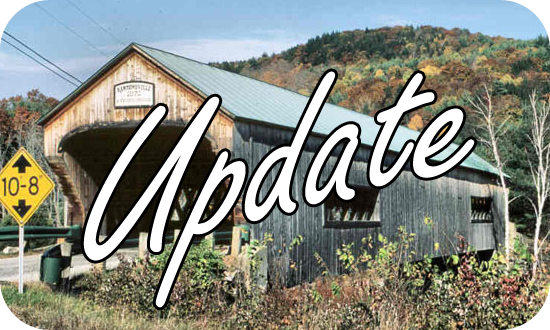 The storm driven high water cut behind and collapsed the southwest abutment, dropping the 141 year-old Bartonsville Covered Bridge into the surging waters. The fatal moment was caught by the video camera of Sue Hammond. She shared the images with the world. 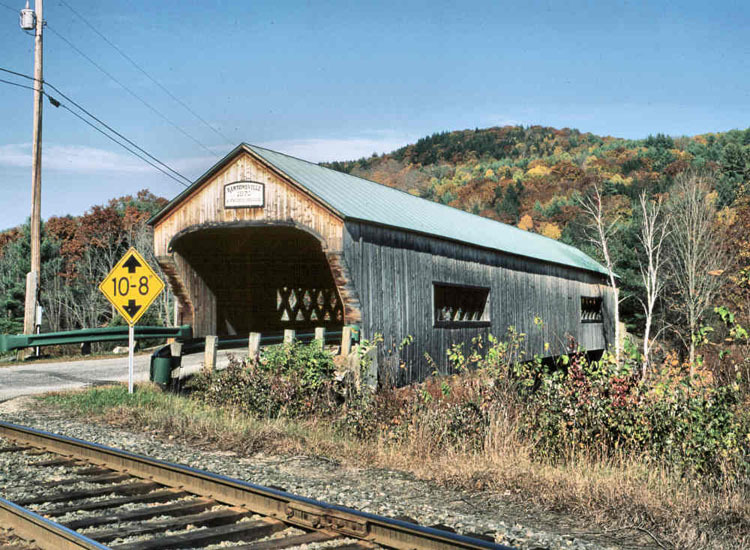 Rather than a modern concrete and steel span, the townspeople would have their covered bridge back and they have; a bigger, longer, stronger version of what was lost.